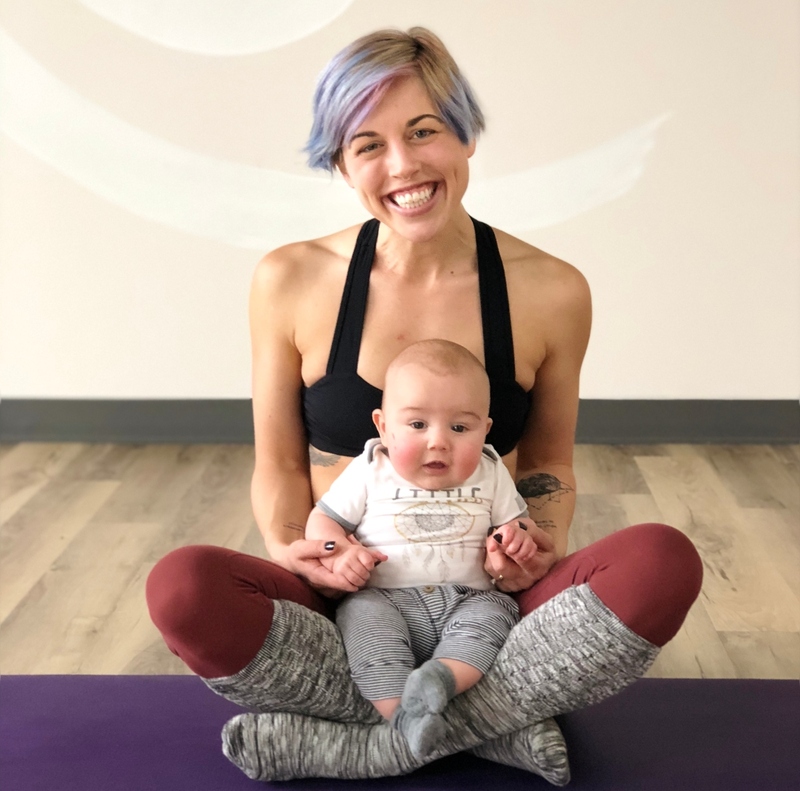 Kristina Reese is a yogi, teacher, designer, mother, and motivator. She has been teaching yoga and meditation throughout the Champaign-Urbana community and beyond for almost a decade. She has worked with many different populations including professional and college athletes (Illinois men’s basketball team), teens in transition (Cunningham Children’s Home), retirees and fitness/wellness enthusiasts of all types. Her Om-base is the newly opened Hatha Yoga & Fitness where she is the studio manager and lead teacher. She lives in Champaign with her husband, Todd, her son, Townes (5 months) and miniature schnauzer rescue pup, Franny. Q: Congrats on having your baby boy. I know it’s early, but what has surprised you the most about being a mom? I’m pleasantly surprised by how naturally motherhood feels. I read the books from both ends of the spectrum and have landed across the board on what works for us as a family (and it changes). Intuitive parenting wins out! Q: What’s the best piece of advice you’ve received as a new mom? How about the least helpful piece of advice (ha)? The most important advice I received as a new mom has been in the vein of trusting yourself, going with the flow, and asking for help. Probably the least helpful: anything about nursery decor. I’m sure by the time I get it Pinterest worthy, he will have his own opinions, anyway. Q: I love that your bio says that among your areas of expertise is “embracing positivity.” I feel like our culture is increasingly negative. What is one idea you can share with us about embracing positivity in our lives, especially for parents? I’m definitely intentional with the phrasing there, I think a good embrace of a loved one, a pet, even yourself is an important piece. Wow! Give a hug today; so much to be grateful for in a simple hug. Q: How did your yoga practice impact your pregnancy — or vice versa? Practicing while pregnant was a great opportunity to really tune in to the teaching of respecting the body. My thought was to try to encourage my child, from the very beginning, with the importance of being in the moment. Self-care and self-acceptance. Q: What do you enjoy most about teaching yoga, and do you have a favorite type of student? I love seeing the spark of awareness when a student understands something new. Yoga is a balance of effort and easy. I also love sharing mindful and meditation with newbies. Q: It’s the weekend in Champaign-Urbana, what are you doing for fun with your family? I’m grateful to have my parents, in-laws, and some of our siblings all living close by! Walks are always on the agenda and you can often find me supporting any and all local baked goods, with a special affinity for scones. Most people know, or would guess, I love rabbits (since I have an 8-inch-tall tattoo on my tricep), but here’s the reason why: As a child I found the idiom “quick, quick like a bunny” quite motivating to hustle and complete a chore or get something for my folks. As I’ve gotten older, the phrase reminds me that like a rabbit (who is often prey) I need to stay grounded, alert, modest, and connected to accomplished things efficiently and effectively. The ‘like rabbits’ idiom resonates here too and be prosperous!